The Emirates Group has revealed record results for its 2015-16 financial year (the period ending 31 March). In what was the Dubai-based carrier’s 28th consecutive year of profitable operations, both Emirates Airline and dnata, the aviation service provider that forms part of the group, achieved their highest-ever profits. The Emirates Group made AED8.2bn (US$2.2bn) in profit over the financial year, up a very impressive 50% over the previous 12 molths. The news was by no means all good, however, for revenue fell by 4% year-on-year to AED85bn ($23.2bn), when unfavourable currency exchange rates are factored in. Sheikh Ahmed bin Saeed Al Maktoum, chairman and chief executive of Emirates Airline and Group, commented: “Emirates and dnata delivered record profits, solid business results, and continued to grow throughout 2015-16. He continued: “Our ongoing investments to develop our people and to enhance our business performance enable us to react with agility to the new challenges and opportunities that every year brings. “In 2015-16, the Group collectively invested over AED17.3bn ($4.7bn) in new aircraft and equipment, the acquisition of companies, modern facilities, the latest technologies, and staff initiatives. Emirates SkyCargo, the carrier’s freight division, contributed 14% of the airline’s total transport-derived revenue, although at AED 11.1bn ($3.0bn), its revenue actually declined by 9% over the prior year. Freight tonnage increased by 6% over the previous year to reach 2.5m tonnes, but yield decreased by 16%, and was also impacted by the weakening of major currencies. 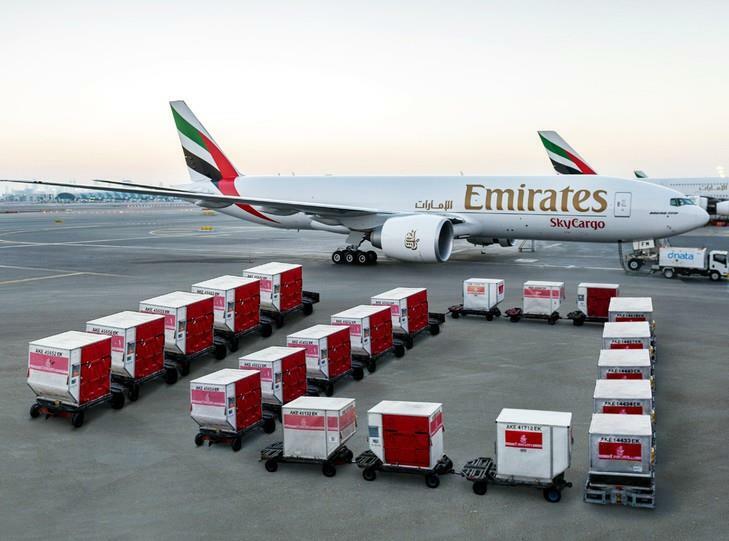 During the year, Emirates SkyCargo increased all-cargo capacity to Mexico City, and launched new freighter services to Ho Chi Minh City in Vietnam, Ahmedabad in India, Columbus in the US, Algiers in Algeria and Ciudad Del Este in Paraguay. Also last year, Emirates SkyCargo officially inaugurated its purpose-built cargo terminal at Al Maktoum International airport (at Dubai World Central, or DWC), and took delivery of a further B777F. 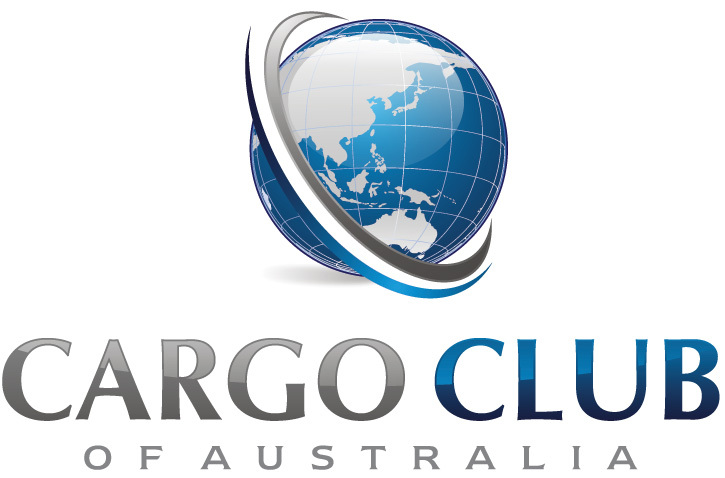 It now operates a total of 15 freighters: 13 B777Fs, and two B747-400Fs. Parent carrier Emirates took delivery of a total of 29 new aircraft over the 12 months (including the B777F), bringing its total fleet to a total of 251 aircraft by the end of March. It launched eight new passenger destinations: Bali, Bologna, Cebu, Clark, Istanbul (Sabiha Gökçen), Mashhad, Multan, Orlando and added further capacity to 34 cities on its existing route network across Africa, Asia, Europe, the Middle East, and North America. Emirates has confirmed that it will launch new routes to Yinchuan and Zhengzhou in China, Yangon in Myanmar and Hanoi in Vietnam this year. Last year was dnata’s most profitable ever. Emirates also invested heavily in the acquisition of new international handling businesses: Aviapartner’s cargo business at Amsterdam Airport Schiphol; Ground Handling SPA in two airports in Milan; and RM Ground Services in Brazil, extending dnata’s global footprint to the Americas for the first time. The volume of cargo handled by dnata its UAE home market over the 12 months dropped by 6% year-on-year to 689,000 tonnes, reflecting what Emirates describes as “the cargo industry’s ongoing malaise”. DWC now accounts for 24% of dnata’s cargo handling activities in Dubai. More positively, dnata’s International Airport Operations division handled 1.4 million tonnes of freight, up by 46% on 2014-15. “These results speak to the benefits reaped from the previous years’ investments in new international cargo handling facilities, particularly in the UK,” an Emirates statement pointed out. Al Maktoum observed: “Looking at the year ahead, we expect that the low oil prices will continue to be a double-edged sword – a boon for our operating costs, but a bane for global business and consumer confidence. “The strong US dollar against major currencies will remain a challenge, as will the looming threat of protectionism in some countries. “However, we enter the new financial year with confidence, backed by a robust balance sheet, solid track record, diverse global portfolio, and international talent pool,” he concluded. In other Emirates news, earlier this week the carrier confirmed that it will introduce a third daily B777-300ER frequency on the service between Dubai and Cape Town on 4 July. The additional frequency will provide up to 23 tonnes of cargo capacity per flight. Emirates first launched services to South Africa 20 years ago, and in addition to Cape Town, the carrier also operates four flights a day between Dubai and Johannesburg, and a daily flight between Dubai and Durban.